Although Ray Dietrich’s Firebird may appear on the surface to be a toned-down version of the Explorer, it’s actually a more radical design. 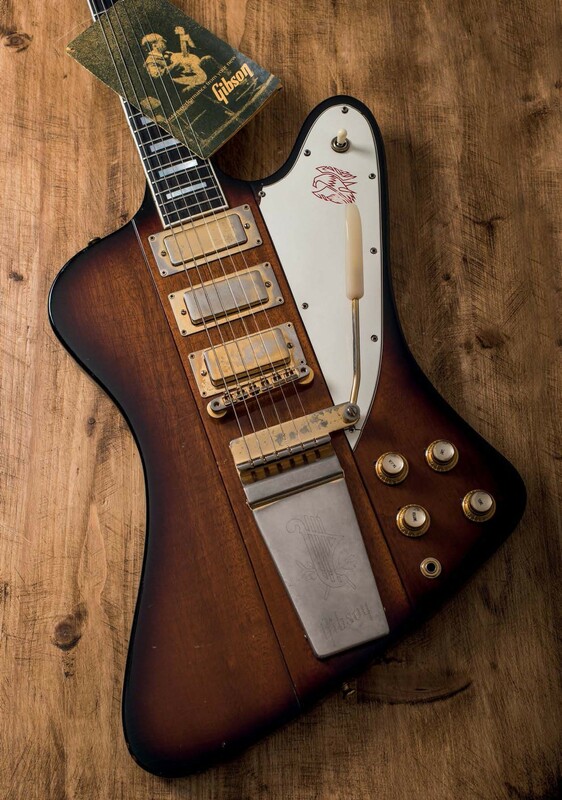 Even today, through-neck guitars are hardly commonplace, so in 1963, the Firebird’s construction was truly groundbreaking. 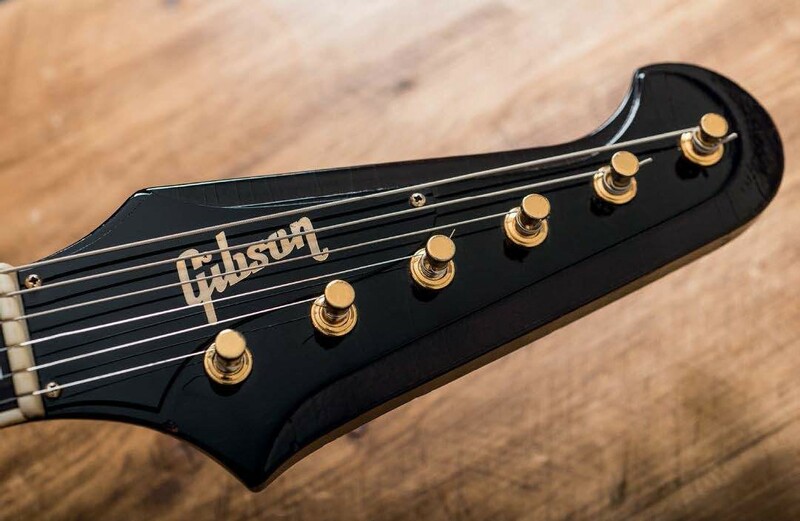 The VII we have here is characterised by its three mini-humbucker pickups, an ABR-1 bridge and a Maestro Vibrola – and as beits a top-of-the-line model, all the hardware is gold-plated, too. This example’s overall condition is wonderful; it’s clearly been well played and there’s lateral lacquer checking all across the body, neck and headstock. 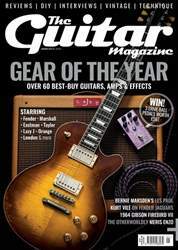 On the back, the finish is a fairly uniform tobacco brown, with the mahogany grain clearly visible – especially where it’s slightly lighter on the back of the neck. At the front, the tobacco brown tips over the edges and the sunburst transitions to a more amber centre, with a hint of redness at the crossover. The pickguard has a mellow, aged quality, with a touch of wear on the Firebird logo and shrinkage around the screw holes. The hole at the end of the horn has three cracks but is hanging together, unlike the corner in the cutaway, which has snapped of.